Scale Model Soup: Dang, I bought the wrong kit! Dang, I bought the wrong kit! So I'm unpacking my haul from the Nats this morning, eager to fondle one of the kits I was most looking forward to buying. 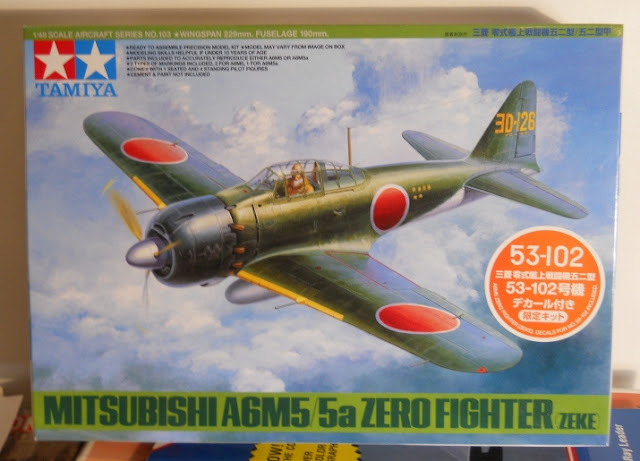 In the final 30 minutes of the vendors room I was excited to score what I thought was the new Tamiya 1/72 A6M5 Zero, which if you haven't seen it is a gem of a kit. But no, what I actually grabbed off the table was their 1/48 version of the plane. Dang! Anyone else do that? Or maybe buy a duplicate of something you already have? Oh well, at least I scored a $50 kit at a deep, deep bargain. So you're attending the Nats! So you're not attending the Nats?